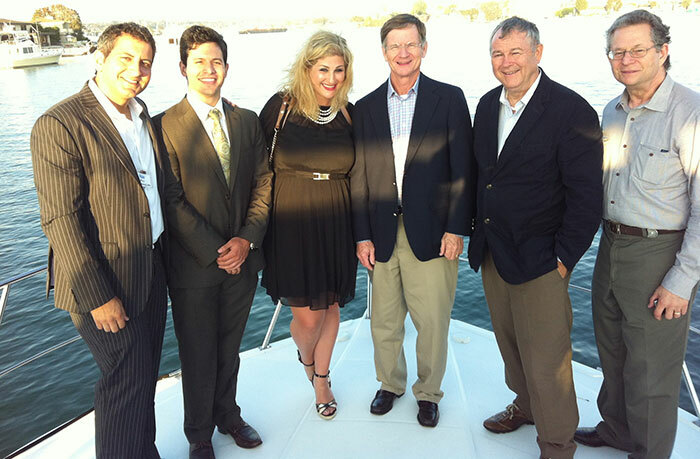 "EB5Investors.com's Southern California EB-5 Conference was the best EB-5 conference I attended this year, and uniquely offered its participants an opportunity to interface with Chairman Lamar Smith and provide him with our perspective on critical issues within the EB-5 program to be considered by USCIS as well as legislators on Capitol Hill." Thank you to everyone who attended Southern California’s EB-5 Conference. Set at the beautiful Balboa Bay Club in Newport Beach, the conference drew some of the most prominent EB-5 experts from across the entire nation and provided attendees with invaluable insight into the EB-5 Program. Southern California’s EB-5 Conference began with breakfast and a Q&A session with Congressman Lamar Smith, who is Chairman of the U.S. House Judiciary Committee. As a key figure in reviewing the feasibility of proposed legislation to extend the EB-5 Regional Center Pilot Program, Chairman Smith offered an insider’s perspective into the political issues facing the EB-5 Program. Interestingly, the Senate unanimously passed a three year extension of the EB-5 Regional Center Pilot Program just a week after the Conference. We were also very fortunate to have had Congressman Ed Royce (40th District of California) and Congressman Dana Rohrabacher (46th District of California) on hand to offer their insight. After the Q&A session with Chairman Smith, the Conference broke out into panels led by prominent EB-5 experts who each focused on specific aspects of the EB-5 Program. Attorneys David Hirson of Fragomen, Del Rey, Bernsen and Loewy, LLP, Steve Anapoell of Greenberg Traurig, and Michael Homeier of Homeier & Law, P.C led the Securities Compliance Considerations for EB-5 Regional Centers panel which discussed the many securities law considerations that those involved with the EB-5 Program must be cognizant of. Attorneys Kate Kalmykov of Greenberg Traurig, Jor Law of Homeier & Law, P.C, and accountant Ralf Eschenburg conducted a panel titled Introduction to the EB-5 Regional Center Designation Process which covered the I-924 Application and the issues surrounding Regional Center designation. David Hirson, immigration attorney Linda Lau of Global Law Group, and Regional Center owner Henry Liebman of American Life, Inc. then led a discussion titled EB-5 in California: Bringing Investment to the Golden State. This panel covered EB-5 issues that pertain specifically to the state of California, including the recent changes made to the state’s Targeted Employment Area (TEA) designation methods. Following a lunch overlooking beautiful Newport Harbor, David Hirson and Linda Lau led a panel on Hot Topics in EB-5 that discussed the recent matters that have affected the EB-5 Program, including the changes made to Tenant Occupancy job creation standards. Kate Kalmykov also led a discussion with immigration attorneys Mahsa Aliaskari and Mina Tran called Basics of EB-5: Preparing Individual Investor Petitions which covered the steps that foreign investors must adhere to in order to obtain their EB-5 visas. Following these panels, Henry Liebman along with fellow Regional Center owners Taher Kameli of Kameli & Associates and Ron Darling of American Redevelopment Solutions discussed their experiences with the EB-5 Program in a panel titled Successful EB-5 Regional Center Stories. Kate Kalmykov also led the panel titled Marketing your EB-5 Project with marketing expert Brian Su of Artisan Business Group, Inc and attorney Genna Garver of Greenberg Traurig LLP. Thanks again to our congressional hosts, sponsors, panelists, and attendees for making Southern California’s EB-5 Conference a success.